The Reference and Local Studies Department is located in the Central Library at the Granary. Use of the facilities in this section is open to all and there are no charges except for photocopying and printing. A full-time librarian is available at the reference department to assist people with queries and research. In addition to the many historical reference materials available there is an extensive collection of Limerick-related materials held here. 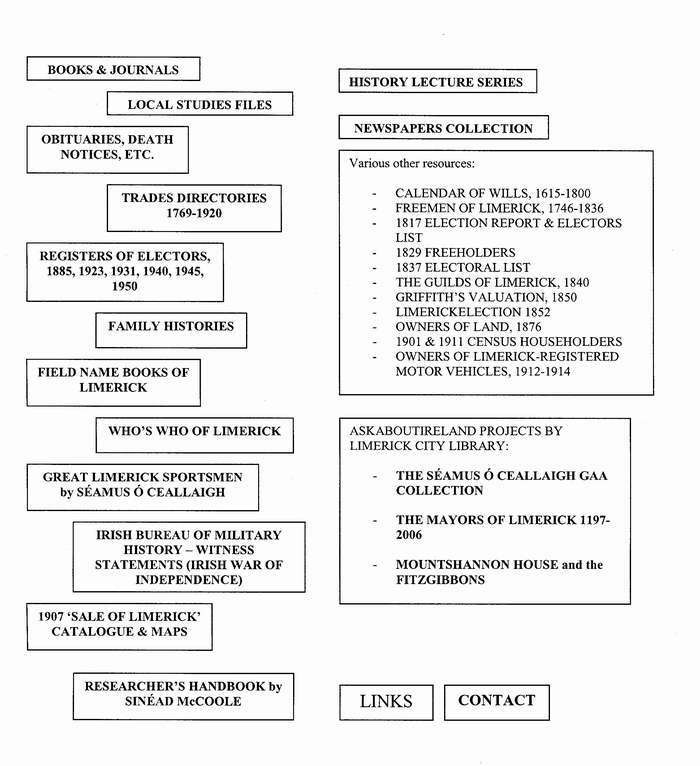 This local collection is an essential aid for anyone researching the history of Limerick. Have a lucky dip into our Local Studies Files - click here for a visit to one of the files!